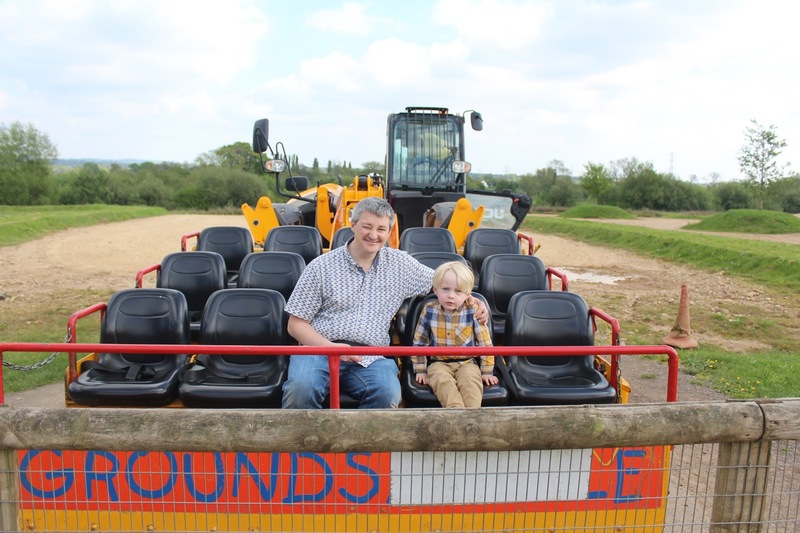 A few weeks ago, we were invited along to Diggerland for a fun filled family day out. 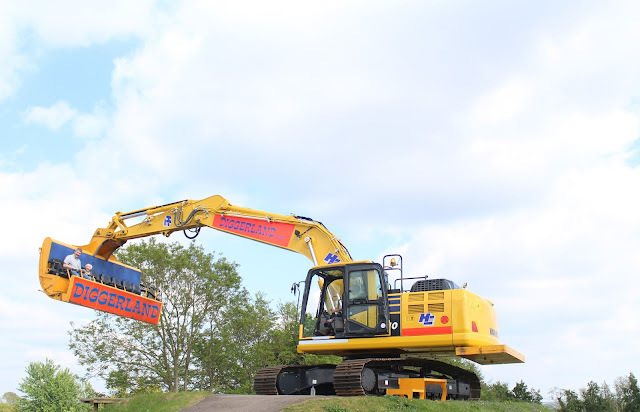 In case you're unfamiliar with the Diggerland parks, they are a theme park focused completely around - you guessed it! - diggers! They have parks in Kent, Durham and Yorkshire as well as one just down the road from us near Cullumpton in Devon. With 3 little boys who are all somewhat digger obsessed, we were excited for what the day would bring - we had visited Diggerland once before a couple of summers ago but Tyne was too little for most of the attractions at the time. This time though, he was tall enough for the vast majority of them (although had to be accompanied) and so we set off to explore exactly what Diggerland had to offer. Now, if you're anything like me you're probably thinking "How much can there be to do with a digger?!" - well the answer is, quite a lot actually! 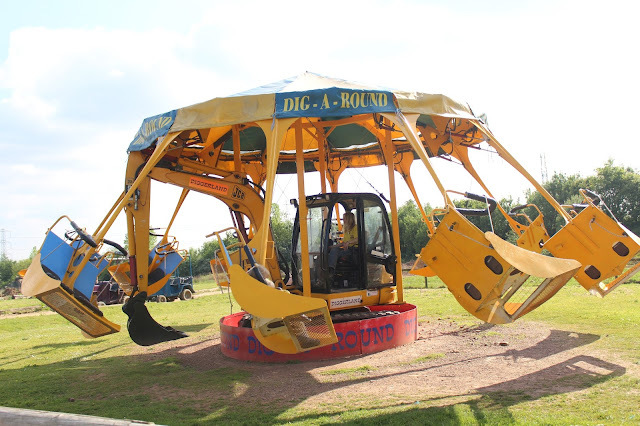 It is quite amazing how creative the Diggerland team have been at coming up with weird and wonderful ways to use diggers and construction machines as family entertainment. 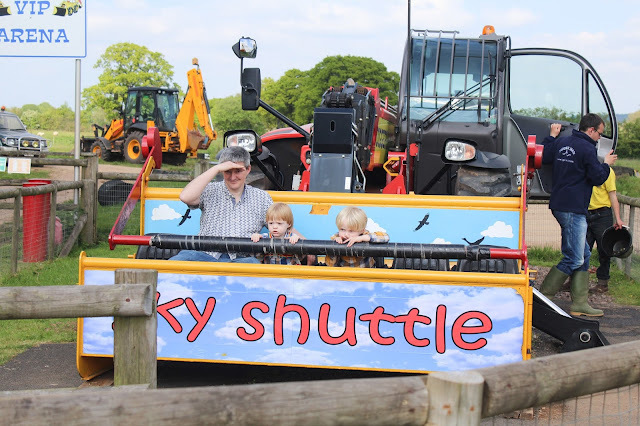 There are high adrenaline thrill seeker rides such as Spin Dizzy which literally spins its passengers around in a circle at top speed (and really is not the faint of heart, Jon was pretty queasy after riding this but our 4 year old was screaming for more and wanted to go again!!) - and the jaw-dropping Sky Shuttle which takes passengers up 50 feet in the air! I, being terrified of heights, was too much of a whimp to ride this but Jon, Tyne & Noah all went up and reported that the views across Devon were spectacular! 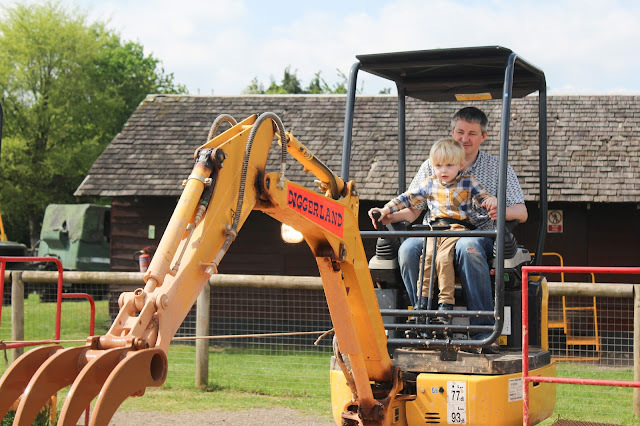 There are also diggers that you can operate yourself, which Tyne was absolutely thrilled with! And diggers used for games such as Hook A Duck and Bowling which were really good fun. There wasn't a great deal that Noah could ride on unfortunately due to height restrictions but he did enjoy having a go on the Dig-A-Round which is Diggerlands take on a merry go round! 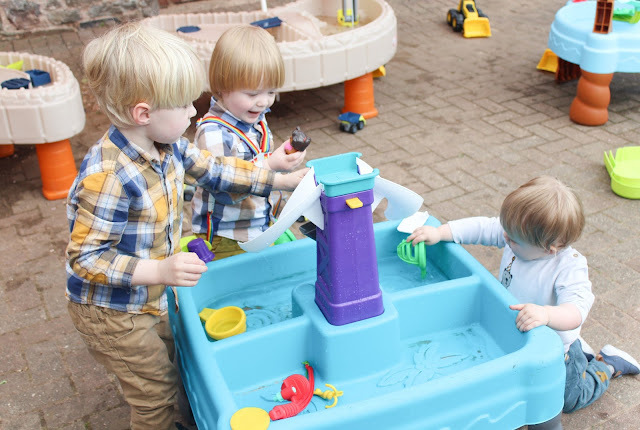 For Sailor, there were no age appropriate rides which is of course to be expected for a 1 year old but we were pleased to see the addition of the new Little Tikes area - this play area in the park section was kitted out with some lovely Little Tikes Cozy Coupes as well as push along digger toys and water and sand play tables from the fantastic Little Tikes range - this was a great addition as it meant there was something fun for Sailor to do too, and actually all 3 of the boys really enjoyed playing here. 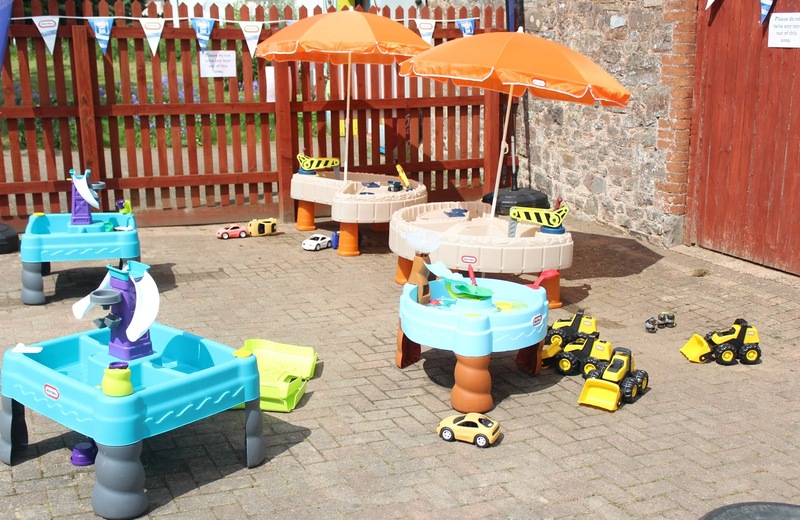 Diggerland also has an indoor cafe, indoor bouncy castles and an arcade which would be really useful on a rainy day but as it was a beautiful sunny day when we visited we didn't need to use these. 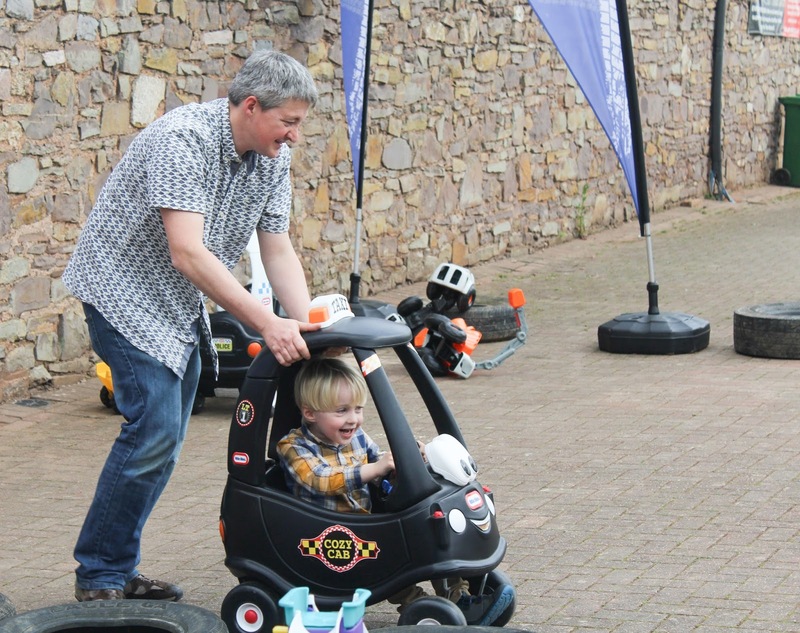 We were slightly disappointed that our 4 year old wasn't allowed to ride on the Joyrider attraction which is basically a 4x4 done up as a police vehicle - he is currently obsessed with all things police related and was very upset not to be allowed to ride in the car which put a bit of a dampener on our day really as he was inconsolable after that. It seemed a bit silly as we would have been allowed to ride in the almost identical Safari jeep which is driven by a member of staff, but we were told that the Joyrider car has to be driven by someone under 17 but over 140 cms. 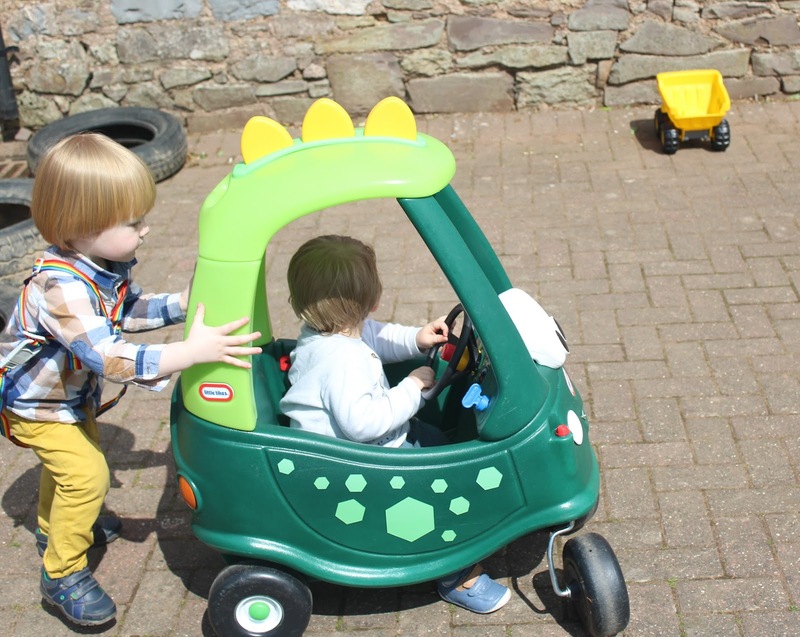 Apparently even a staff member wasn't allowed to drive it, which seemed silly - so the only way Tyne would be allowed to ride was if we had someone over 140cms and under 17 to drive it in which case he could be a passenger?! It just seemed like a very silly rule to spoil a day out over. 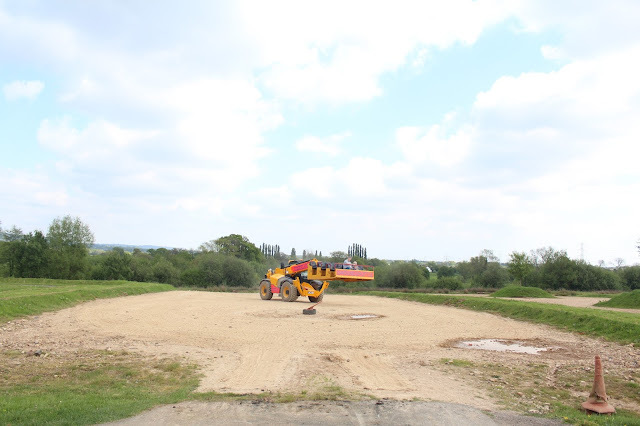 But that aside, what did we all think of our day out at Diggerland? It was a fun day out and there were lots of attractions that were extremely enjoyable - the highlights being Spin Dizzy, the Sky Shuttle and the new Little Tikes Play area - but it must be noted that the park isn't all that big and we did find ourselves struggling to spend more than 4 hours there, having already done everything at least once. This may because we visited on a very quiet day and there were absolutely no queues for anything. 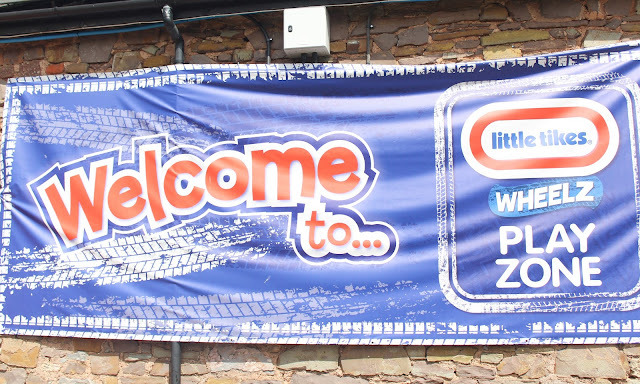 The cost for our family to spend the day at Diggerland would be £79.80 and for that price I would expect to be able to spend a full day there without having done everything in under 5 hours, I do feel that charging full price for a child of Noah's height (95 cms, age 2) who is only able to ride a handful of things is a little much and that it would be much more reasonable to charge half price for children until they are tall enough to ride everything. A non-rider discount for grown ups like me who have zero interest in riding anything would also be beneficial and may encourage more customers, I think. We certainly had an enjoyable time at Diggerland but I have to be honest - I wouldn't choose to return at the current prices with the boys at their current ages. 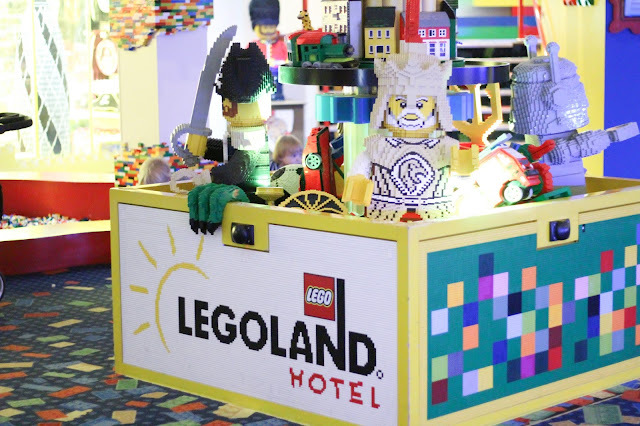 However, once they are older and able to ride everything I think it would be something they would very much enjoy and would then certainly be worth the entry fee.